If you're looking for great deals this summer, but don't want to melt in a steaming car on your way to shop, browse the SNS Team's specials thread every Saturday night. Susan of Sassafras Bead Works shared bargains from several participating members last weekend. 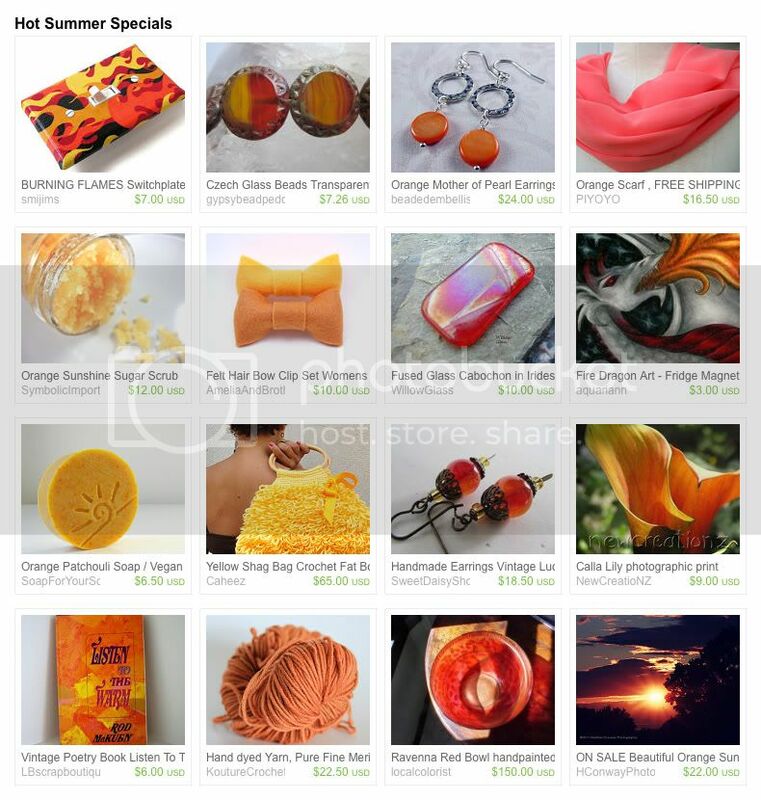 Hot handmade items include a burning flames switchplate cover, sunshine sugar scrub and my fire dragon print. Orange You Glad Its Summer! I love seeing the summer colors in full force! Thanks for a great link up as always. Love the treasury. The flame light switch plate is great! Thank you for allowing us to share our collection! Thank you for promoting our treasuries!